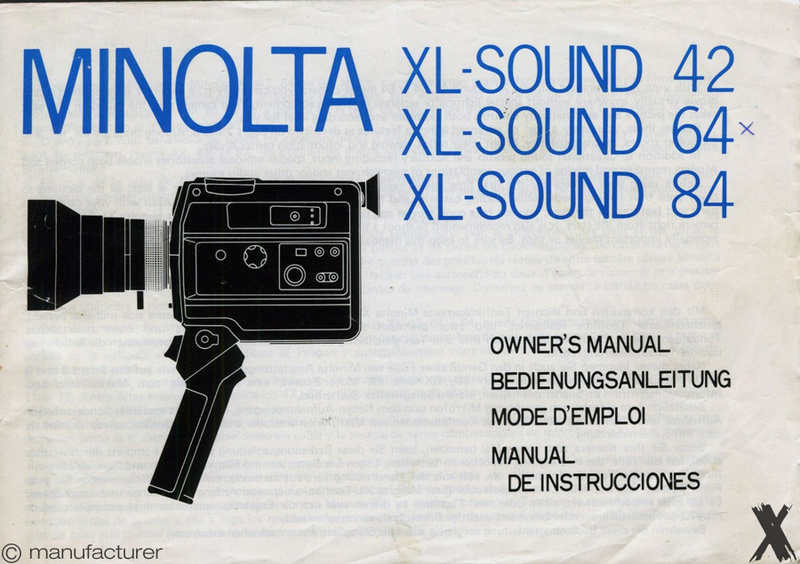 The great XL range from Minolta. 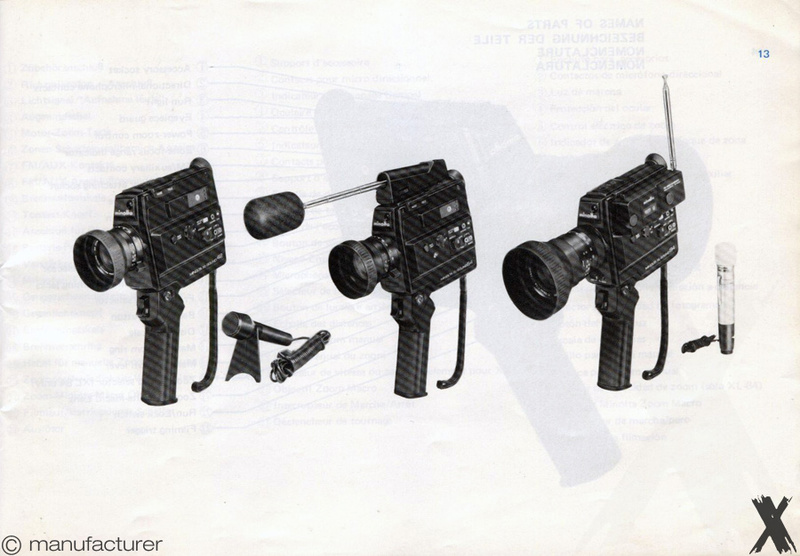 This Super 8 mm model made by Japanese Minolta, one of the most respected manufacturers, offers wonderful scope for filming wild life, travel, scientific and documentary films. Its sharp and fast ROCCOR zoom lens with versatile zoom range allows you to fill the frame with any subject from an elephant to a mouse. 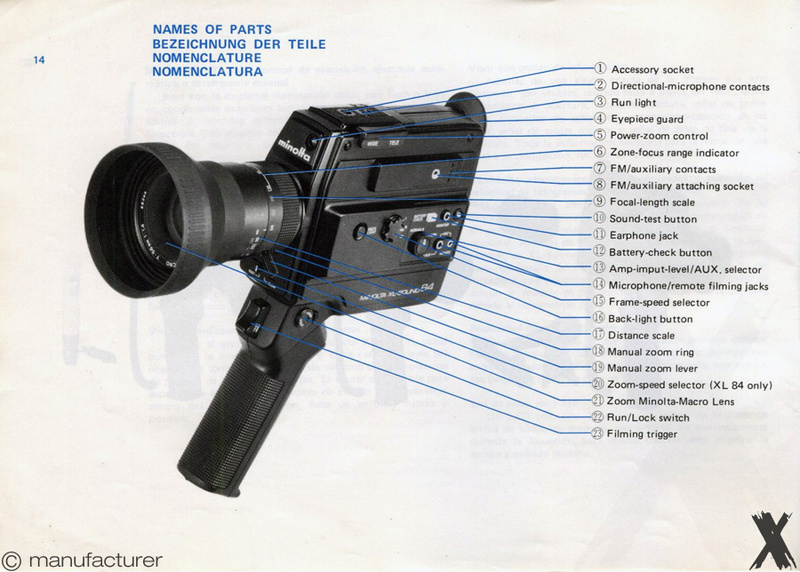 Exposure control is fully automatic, through the lens for greater accuracy. 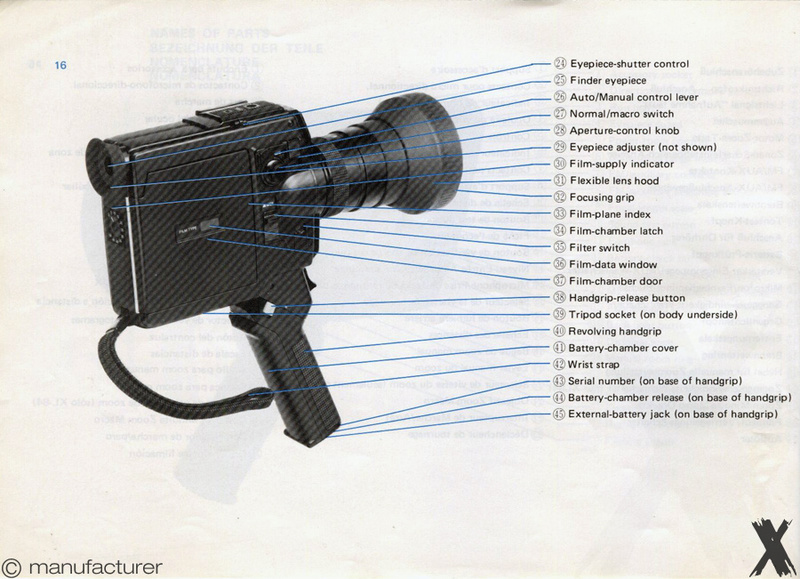 The lens aperture may be set manually or completely closed for fades. Single frame, built-in battery tester, substantial rubber lens hood, electric remote control socket, lockable viewfinder too and many more! 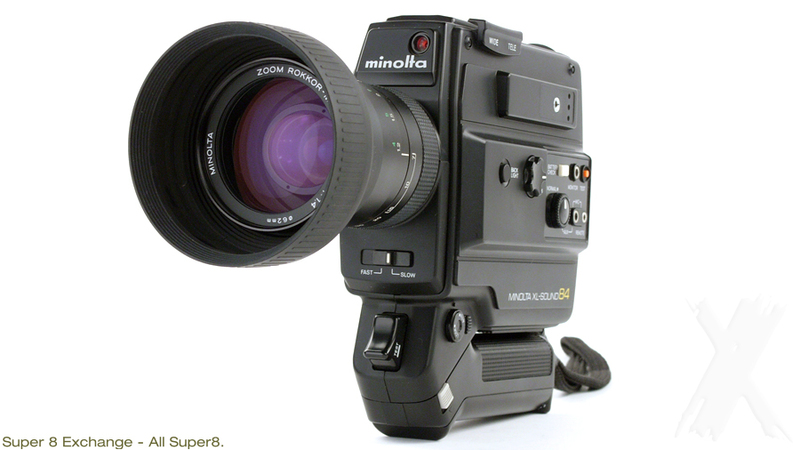 Don't expect less from Minolta.